Only a few days after the European Commission set out its vision for the new global climate change agreement, which is due to be adopted in Paris in December, the EU agreed on its contribution to the Paris Conference (in UN-jargon INDC for “intended nationally determined contribution”). The EU aims at a legally binding agreement that would take effect as soon as it is ratified by enough states to cover 80% of global greenhouse gas emissions. The Commission would like the agreement to reduce global emissions by at least 60% below 2010 levels by 2050. However, the expected international contributions are unlikely to be in line with the trajectories required to realise the below two degrees objective in time for Paris. For this reason, the EU has proposed a revision process that would require the UN to assess progress every five years on the basis of climate science and the adequacy of countries’ policies to justify an increase in ambition. Such a dynamic review clause must be a crucial outcome of the Paris agreement in order to still keep the 2°C objective within reach. It is worth noting that the EU was one of the first negotiating parties to present its offer for the Paris agreement. Nevertheless, the extent to which one can agree with Climate and Energy Commissioner Cañete’s assertion that the offer paves the way to an ambitious agreement at the end of the year is questionable indeed. The EU’s INDC is based on the 2030 climate and energy framework, which requires emission reductions of at least 40% of 1990 levels by 2030. This target represents a compromise between the sometimes-conflicting domestic understandings of the European climate and energy future. The 2030 EU climate objective is not ambitious enough to make a fair contribution to global climate protection. The target of 40% emissions reductions by 2030 is based on a decarbonisation scenario of 80% by 2050 – this puts the offer at the lower end of the IPCC recommended long-term goal of 80-95% by mid-century. This being said, it should not come as a surprise that the EU Commission has largely abstained from commenting about the fairness of its offer. Furthermore, the EU decided to include the emissions of the Land Use, Land Use Change and Forestry (LULUCF) sector in the “at least” 40% target, while taking into account environmental integrity. Due to the challenges associated with the measurement and calculation of emissions, there is considerable concern that the inclusion of LULUCF could threaten the rigour, integrity and ambition of the EU climate target. By announcing that LULUCF rules will be legislated after Paris, but before 2020, the EU does unfortunately not foster much clarity and confidence. This point is particularly striking given the EU’s role in establishing a benchmark for other countries. Countries with larger forestry and land use, such as Brazil and Indonesia, will undoubtedly observe how the EU deals with the LULUCF sector and its controversies. Transparency and accountability of international contributions are ranked very high on the European agenda, and should therefore apply all the more for the domestic climate protection policy. Moreover, it will be critical to observe the extent to which an increase of the 40% goal will be pursued. This is especially important given the use of the words “at least” in the rhetoric and the fact that the target only mandates reductions in domestic emissions. Accordingly, the EU has left prospects for collectively increasing global climate ambition open, for example with an international carbon-trading scheme, by defining a mid-term climate target to be reached until 2025 and by continuing to push for meaningful reforms of the emissions trading system. At present, the EU’s ability to mobilise the political will required to push for further concessions is questionable at best. The Climate Summit in Paris is not very high on the political agenda, and European countries are preoccupied with issues like terrorism, the Ukraine crisis and the Greek bailout. Additionally, many Member States believe that the EU has already done its fair share, and that other states should take the lead. Transparency and accountability of international contributions are ranked very high on the European agenda, and should therefore apply all the more for the domestic climate protection policy. Accordingly, the EU has called on the developed countries and emerging economies in the G20 (the US and China in particular) to make bold commitments to climate protection. However, it cannot allow itself to rely on the actions of the US and China; instead, the EU should proactively seek alliances with other partners worldwide. Despite the criticisms outlined above, the EU’s conviction to use its extensive diplomatic network, coupled with its launch of a climate diplomacy action plan, should be commended. The new EU High Representative for Foreign Affairs and Security Policy Mogherini, alongside her colleague Cañete, appear to be promoting this agenda. Nevertheless, such a diplomatic strategy can only be deemed successful and serve to build confidence if it is bolstered by substance and concrete action. Regrettably, the EU’s INDC is limited to emissions reduction, and neglects the issue of adaptation. Indeed, the EU climate agenda bears an Achilles heel in the form of climate finance and adaptation. 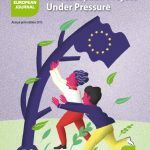 The Commission claims that it is “too early” to discuss climate finance commitments for the next decade; however, issues of climate finance and adaptation are central to a successful alliance-building between the EU and its “natural partners” in African, Latin American and island countries. To make matters worse, and this surely is a disappointment for the EU’s prospective partners, the issue of “loss and damage” is completely excluded from the Commission’s 16-page document. The EU’s approach to preventable loss and damage is crucial; especially given the high priority level of the issue for many countries. The longer the international community waits to take action on climate mitigation, the more susceptible those already-vulnerable countries become to the effects of climate change. One can only hope that the EU prioritises these types of confidence-building diplomatic measures in the future. Climate change should be the core of the Energy Union – and the Energy Union should serve to strengthen EU climate leadership. The EU’s credibility at the negotiating table is directly linked to its ability to realise the decarbonisation goals of the Energy Union, for which a vision was outlined some months ago. The Energy Union should not be limited to joint gas purchasing, nor should it blindly advocate the use of all domestic energy sources without regard to the risks and climate impacts of their extraction. Lastly, the presumed trade-off between security of supply, competitiveness, and climate protection should be eradicated from the political narrative. An Energy Union based on a transition towards 100% renewables has the potential to reinforce Europe’s role as a pioneer in the realm of climate protection. However, this will require the support of frontrunner Member States to push for a European energy transition and for an ambitious and fair deal at the COP 21 in Paris. The agreement of G7 leaders to decarbonise the global economy by the end of the century is a hopeful sign on the road to Paris. This article was originally published by Heinrich Boell Stiftung.